Nagaland is witnessing hectic political activities for the last few days. On Wednesday, a group of legislators allegedly attempted a coup of sorts to delay the process of ministry reshuffle. T R Zeliang is all set to reconstitute his ministry to accommodate legislators from both his camp and that of Dr. Shürhozelie after the grand patch-up. According to a senior legislator, around 18 legislators led by some senior ministers had gathered at Hotel de Oriental Grand, Kohima. This came to light after another legislator had gone to the hotel to book a room for a visiting Bharatiya Janata Party (BJP) leader. It transpired on Wednesday morning, after some legislators, reportedly led by some Cabinet ministers, camped at de Oriental Grand under the pretext of a meeting called by National People’s Front (NPF) president, Dr Shürhozelie Liezietsu, the legislator said. However, upon learning that Dr Shürhozelie had not called for any meeting, some legislators managed to escape from the scene while some were convinced to remain. 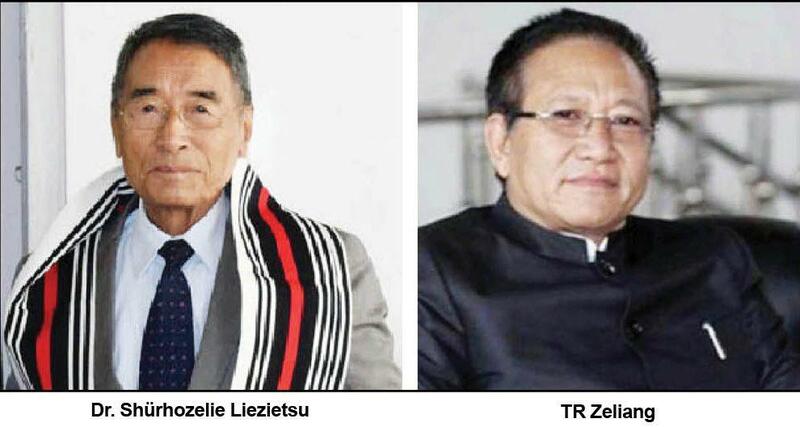 In due course of time, the NPF loyalist who remained with Dr Shürhozelie and T R Zeliang reportedly held series of meetings throughout the day. It was also learnt that the legislators who had camped at de Oriental Grand had to call off their attempted coup and gradually dispersed by evening. Meanwhile, in response to Nagaland BJP’s reservation on severance of ties by the NPF party, the latter’s core committee recommended to continue the alliance with BJP at its meeting on Wednesday. The recommendation will be taken up by the Central Executive Council (CEC) of the NPF to review severing of ties with BJP. Sources informed that the issue between NPF and BJP was likely to be settled soon. As a sequel to the reconstitution of the DAN coalition government, Chief Minister T R Zeliang has sacked four of his senior Cabinet ministers late Wednesday evening. As per the notification issued by cabinet secretary, the Governor of Nagaland had accepted the removal of the four senior ministers – Y Patton, Tokheho Yepthomi, Dr Niekiesalie (Nicky) Kire and Neiba Kronu. It was also informed that the new ministry was likely to be installed on December 14 right after the winter session of the Nagaland Legislative Assembly. Meanwhile, national BJP general secretary (in-charge of North East), Ram Madhdav, who arrived at Kohima Wednesday gave a ‘clarion call’ that the government under the leadership of T R Zeliang should not be disturbed.